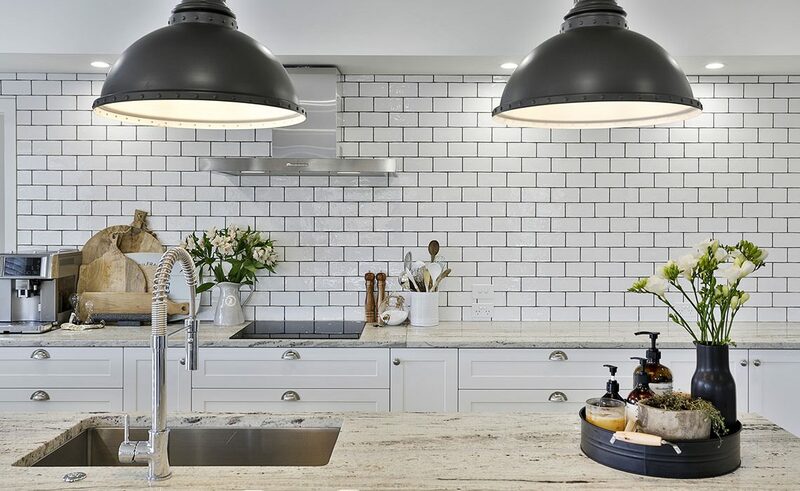 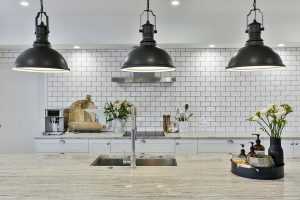 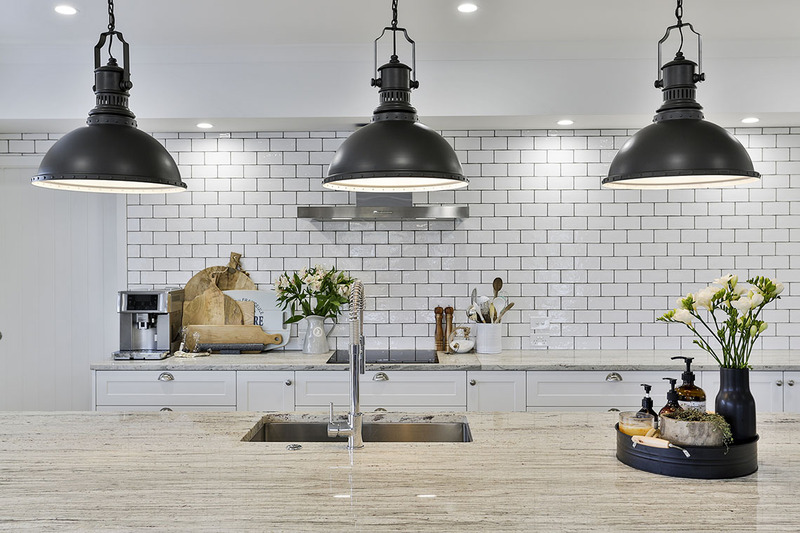 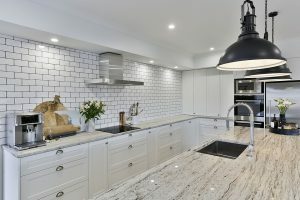 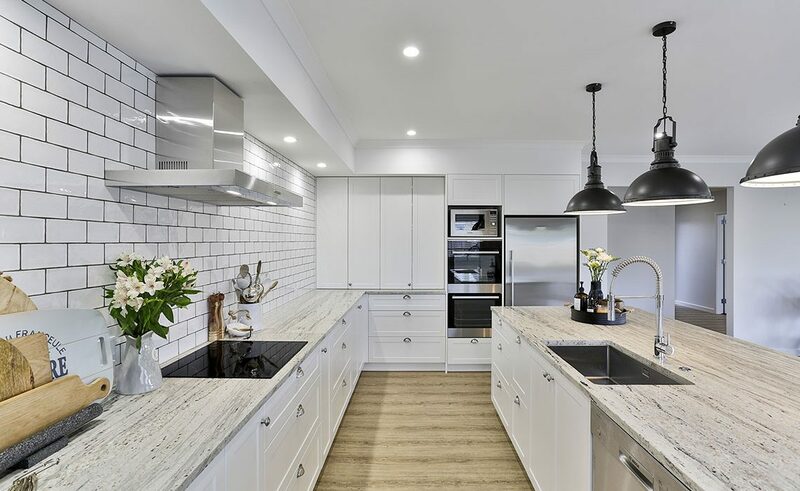 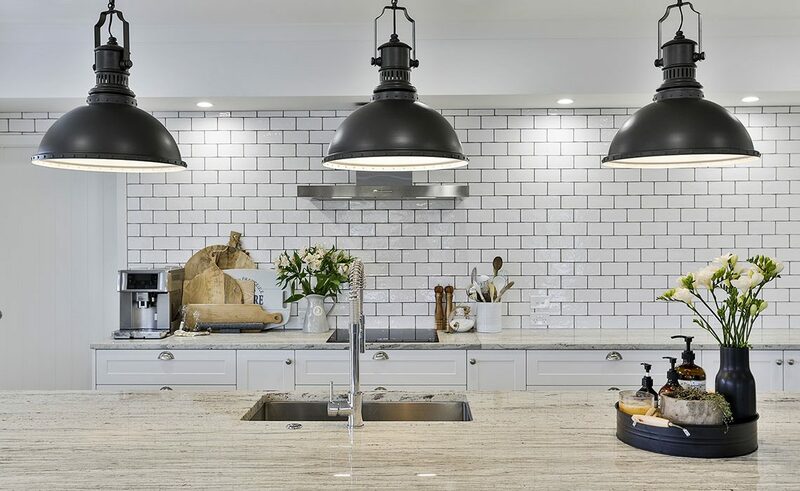 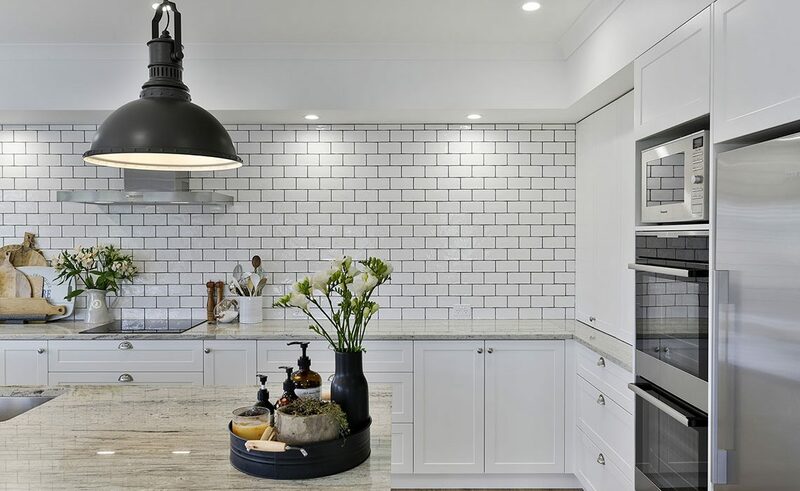 It’s often the dilemma – finding a balance between a modern, clean-lined kitchen, along with all the functionality of new appliances and technologies, yet incorporating a harmonious design that won’t age, or go out of fashion. 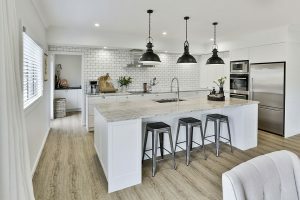 Jannah Crossan from Mastercraft Kitchens Wairarapa (Carroll’s Joinery) designed this kitchen, in a new home in a new subdivision, for a young family requesting exactly this. 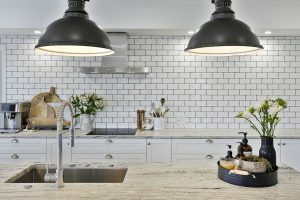 “During our first conversations, where they showed us lots of images of kitchens they liked, they said they wanted something that had classic looks, but with a modern twist – and be timeless, not just a fad,” she says. 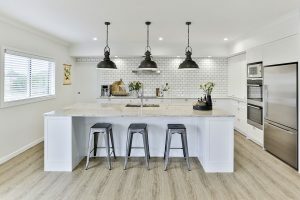 The space Jannah was given to design the kitchen was in a large, open-plan living area, with no restrictions, which gave her carte blanche to design her clients’ dream kitchen. 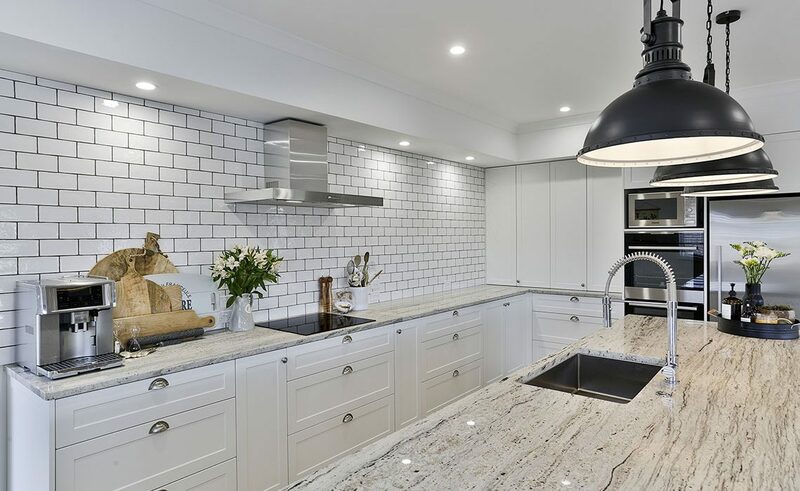 The centrepiece of the kitchen is a large three-metre-wide island. 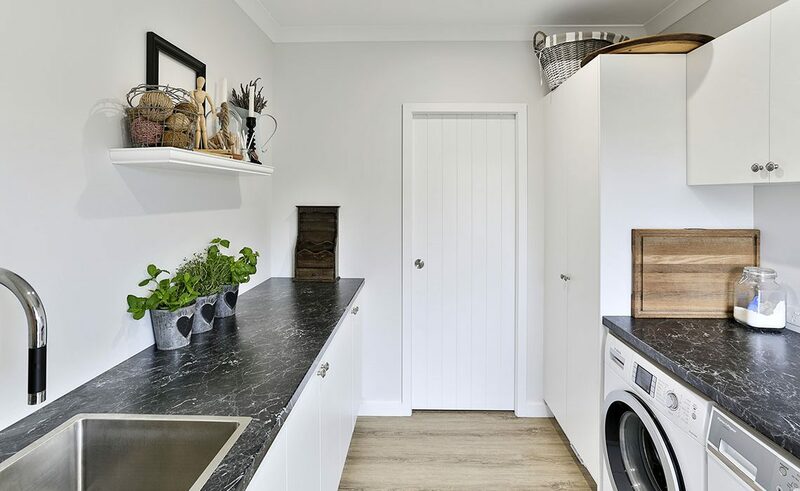 Here, the designer wanted something grand and solid, yet it needed to be practical, too, so storage was built into the two panelled end pillars, accessible by concealed doors. 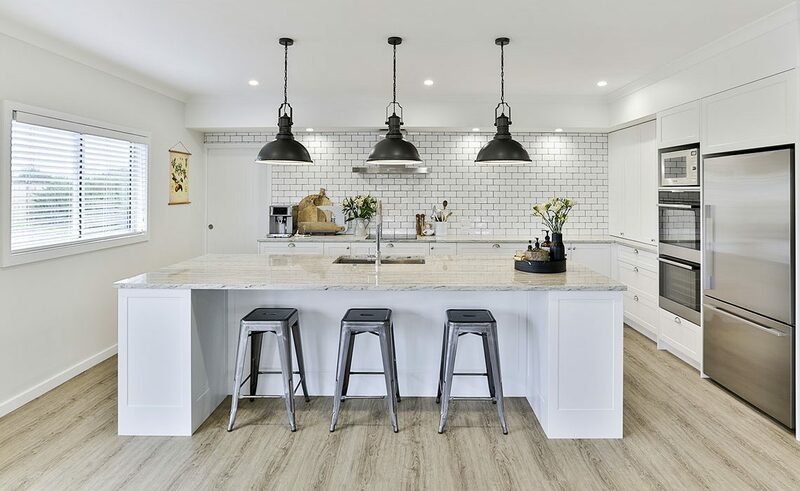 A strongly veined granite benchtop, with tones of black and brown, adds visual interest and also ties together the hues of the timber flooring and the black highlights of the detailing and accessories. 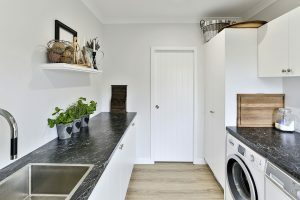 Directly behind the tiled back wall, running the full width of the kitchen, is a corridor-shaped scullery that also contains the laundry. 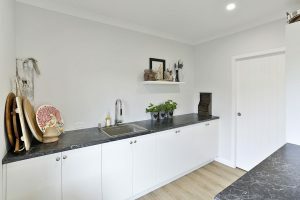 It also has direct access to the garden. 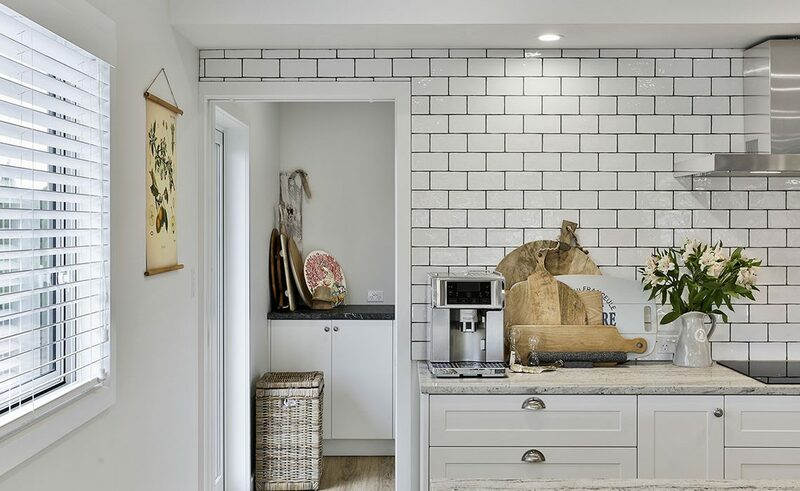 The designer maintained continuity between the main kitchen and the scullery by matching the colour of the cabinetry in both areas and using the same traditional style cupboard and drawer pulls. 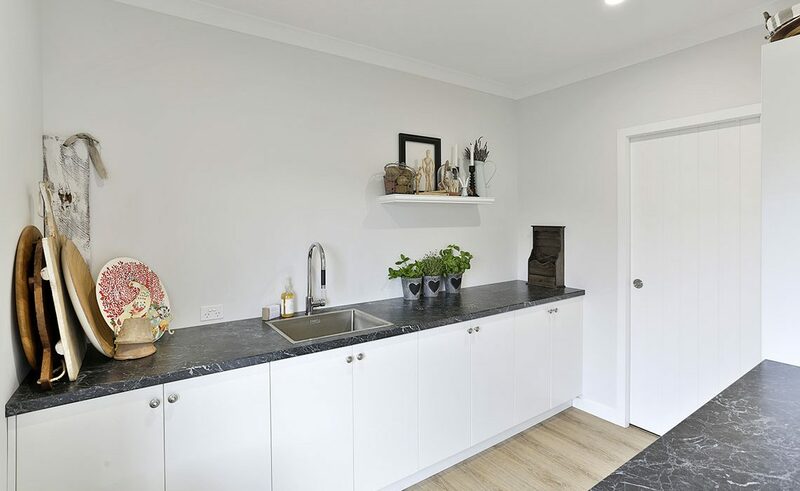 Jannah’s clients are very happy with their new kitchen, and have now asked her to design a contrasting, black-coloured buffet unit in the dining area in the same style. 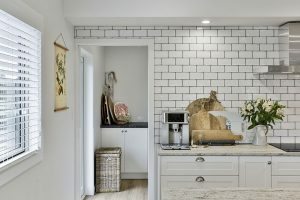 “It will be really exciting if they do go ahead, because it will finish off the space nicely,” she says. 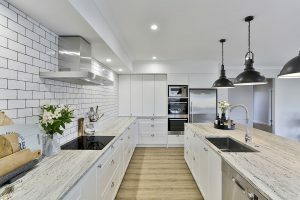 This kitchen is featured in our 2018 Look Book. 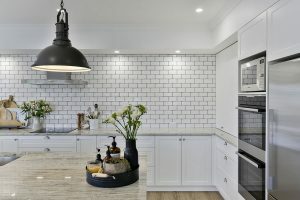 To order your FREE copy go here. 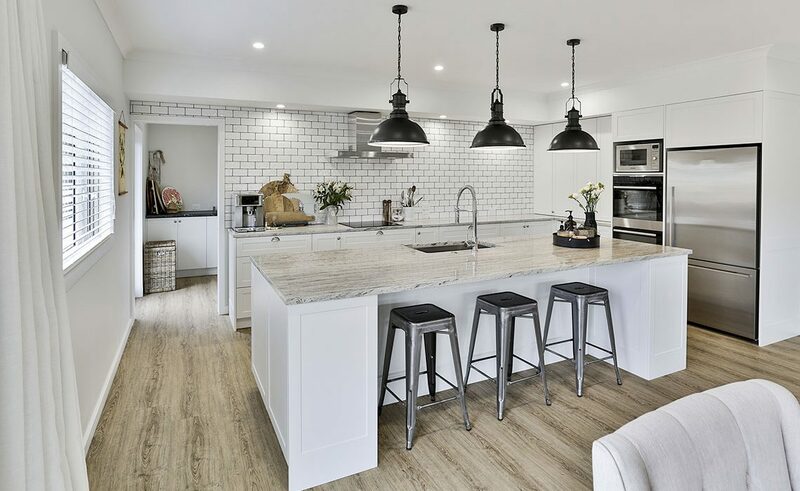 This kitchen was proudly designed, manufactured and installed locally by Mastercraft Kitchens Wairarapa.